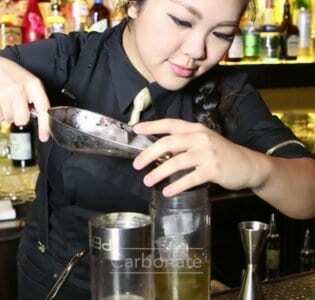 You get two for the price of one in terms of these central Hong Kong hot spots. 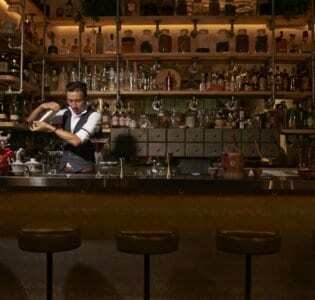 You get two for the price of one in terms of these central Hong Kong hot spots. Set over two floors of the LKF Tower in the heart of central, Lily serves up killer cocktails with a nouveau, 1920s speakeasy vibe, while Bloom continues the mix of fin de siecle themes but with a bigger emphasis on food, including a delectable raw bar, that should keep seafood lovers as happy as a clam. The décor with its retro styling is artfully done, and adapts well for a visit any time of day or night, from those wanting an aperitif, late-night zinger or relaxed afternoon refresher, brunch, lunch or dinner. The cocktail list keeps the general prohibition-era theme alive, with an ever-changing mix of cocktails added to the mainstays. Among them are Death in Paris, a fine pick-me-up mix of absinthe, cane sugar, lemon, bitters and sparkling wine. Soda Shop Fizz is one of a number of other interesting additions that fuses lapsang souchong tea with gin, citrus and vanilla demerara. Happy hours often pull in plenty of nearby office workers with great deals and special short term cocktails. There are high-backed leather booths for colluding and canoodling, plus space by the long bars of both Lily and Bloom to mix and mingle. Apart from the delicacies of the raw bar, a bucket of fries, steak tartare, short rib sliders and piquillo pepper mac ‘n cheese are among the winners on the bar snack menu.